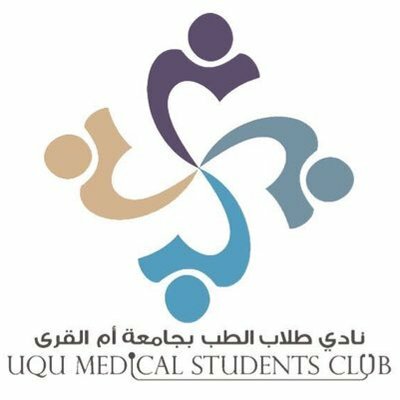 UQU Medical Students Club was launched in mid-1428H under the supervision of the deanship of students affairs in the university. The Club currently includes a large number of medicine students from different study phases. It was established based on two facts that it must not be limited to specific persons and all members must have the necessary keenness for its continuation. The Club endeavors to have a positive role in the college and community through leadership and excellence in the field of student activities at the local, regional and international levels. The Club aims at developing skills of students of the medical college, honing their talents and capabilities, raising their cultural awareness to become proper physicians through the students' activities. - The male/female chair of the club must be a fifth-year student selected through the voting of his batch. - The deputy male/female chair of the club must be a fourth-year student selected through the voting of his batch. - The male/female secretary of the club must be the ex- male/female chair of the club, therefor student in the sixth year. - The male/female heads of the committees must be students in fourth, fifth, sixth year selected through voting at the level of the college. - The deputies of male/female heads of the committees must be male/female students in third year only and each male/female heads of the committees selects a deputy male/female. This committee is tasked with the activities which enrich specialty of the medical student so as to be ready to overcome difficulties of the professional life efficiently, besides the activities which enable him to become active community member. To get free from study stress, the committee works to disseminate the enlightened thought, make student passionate about such though and have some knowledge of everything. The Volunteering team is tasked with spreading the culture of the volunteer work by organizing medical volunteering programs which aim at boosting spirit of community service amongst the male and female medical students, besides touching upon the real needs of the community to achieve the principle of social solidarity. This committee is concerned with merging between entertainment and community service, paving the way for the students to prove and develop their hobbies and showing their keenness to provide assistance and bring joy to different community segments. This committee is a linking point between the different committees. Its tasked with providing media coverage for all the organized events. It includes creative photographers, designers and writers.